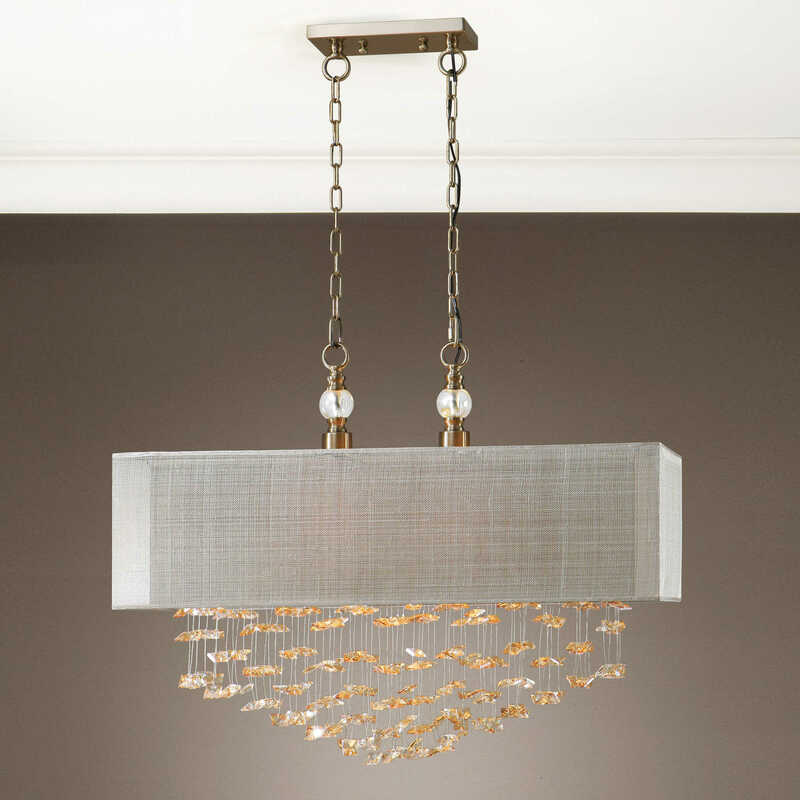 Champagne drop crystals are a brilliant focal point for this sophisticated transitional fixture. 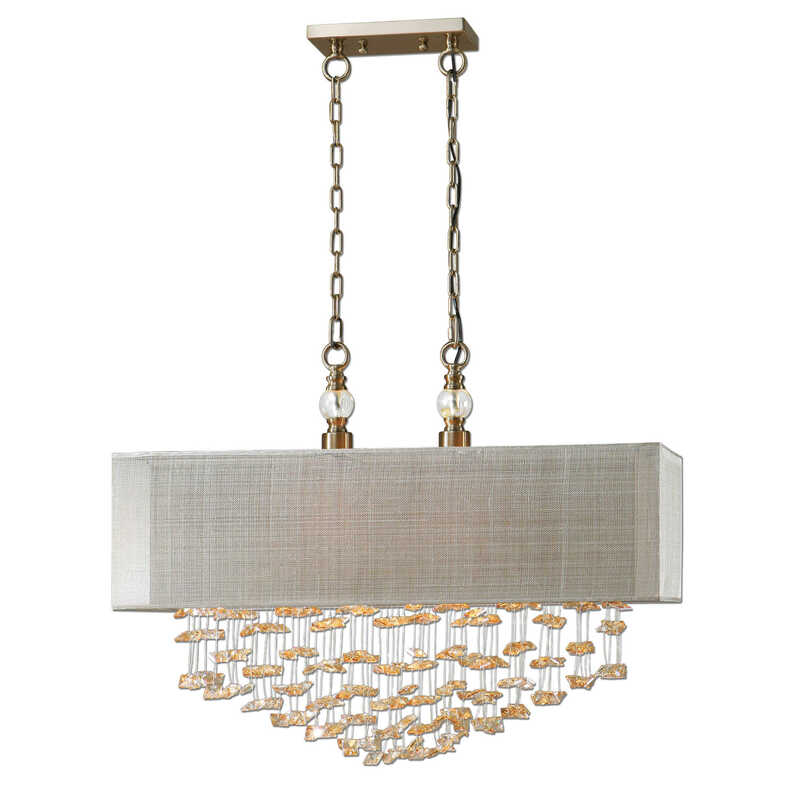 Featuring double nested shades yielding both tone and texture. Tone from the inner beige fabric and texture from outer open variable woven thread fabric on a clear hardback support both in clean rectangular shapes. Finished with plated antiqued brushed brass. Comes with 2-5ft sections of chain.